Okay…. so I never do this… but I am just so FIRED UP about this new program that launches TODAY that I am sharing it right here. Like I’m doing a happy dance over here just thinking about you reading this! Do you feel a lack of direction? Do you feel like you know what you want to do but you don’t have the energy to do it? Do you feel like financial freedom will never be yours? Do you feel like it’s hard to maintain balance in your life? Do you feel like you are just constantly going and never feeling fulfilled? Do you feel like you are stuck trying to survive and are ready to THRIVE? If even the tiniest part of you said yes to the questions above, then this group program is for you! Hey, I get it. I was in a surviving mentality for a LONG TIME. My entire 20’s I was a survivor and I was proud of it. I survived domestic abuse. Proud of it. I survived putting myself through college and working every second of the way. Proud of it. I survived financial stress and moving all over the place. I was so proud of that gypsy lifestyle! Some part of me felt like the more I had to struggle the stronger it meant I was. Then I survived cancer. Proud of it. Did all of these life events make me stronger? Absolutely! Am I grateful for them? YES. Do I have to merely survive or was a meant to thrive? We are creatures made for survival and so when events in our lives trigger us into that place, sometimes it can be hard to get out, but let me tell you, we are meant to THRIVE, it just takes a little unlearning of old habits and relearning of new ones. 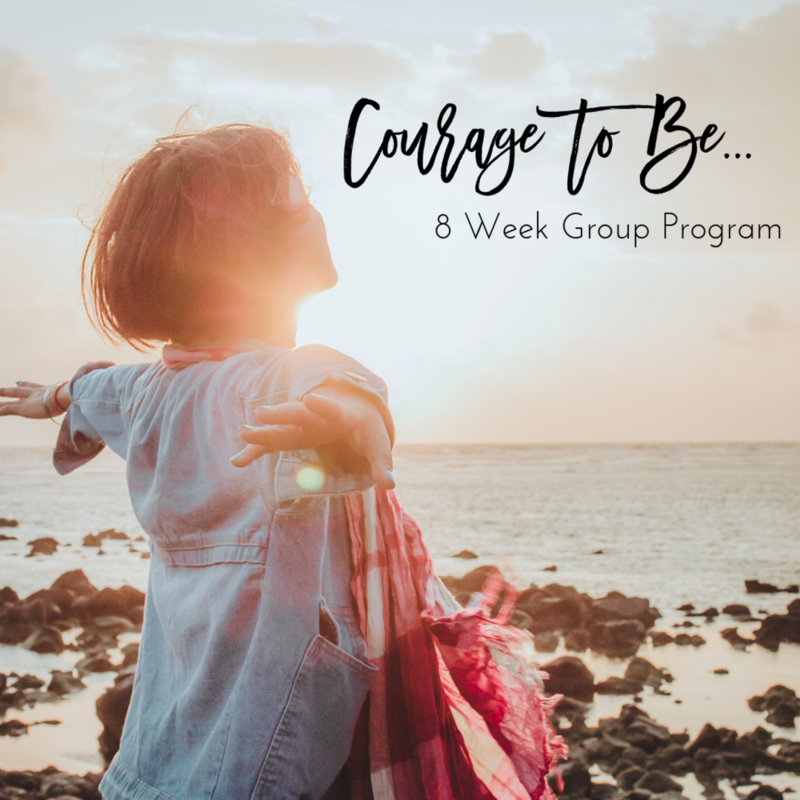 So, if you are ready to THRIVE, then join me in my “Courage to Be” School. Doors are OPEN NOW. In this 8-week program you are going to get the SUCCESS FRAMEWORK for how to THRIVE. This will include 4 modules that will each deep-dive into 4 areas that will restructure the way you are thinking and the way you are living so that you can begin to Thrive. 1) What can you do to make a life you love? 2) What is your driving force to keep you going? 3) How can you maintain the energy required to extend your influence? 4) Who will you BE to create your thriving tomorrow? These are the questions we’ll be answering together, PLUS SO MUCH MORE! You’ll be getting audio trainings and worksheets to work you through each step. You’ll be getting a facebook group and group calls to make friends, feel so completely supported, learn from one another, and make friends for life. I still remember the first group program I was in, yep still friends, I’ve even met some of them in real life! You’ll get bonus trainings, a copy of my book, a BONUS limiting beliefs blaster session individually with me and so much more! But why does this matter for you??? Because in Courage to Be, you are going to learn the framework for SUCCESS so you can understand your PURPOSE, cultivate more HAPPINESS, CONFIDENCE, & ENERGY and experience the FREEDOM to THRIVE being YOU. Because guess what I know? Freedom can seem scary. We can be so used to our way of surviving that doing anything different can feel scary and as much as we want to start THRIVING fear will keep us stuck. Don’t let this be you. Now is the time to step out of your comfort zone and claim what’s meant for you. Whether you are finding resilience through a recent struggle or you are just ready to up-level your mindset so you can create what you want next in relationships or business this course is for you.